My New York Jets signed journeyman quarterback Josh McCown this week. Now if you know me, ultimate fanboy of one Vincent Frank Testaverde, you will know that I greatly appreciate this acquisition. Even if a quarterback is almost never like a fine wine considering they can't take the hits like they once used to, I disregard such practicalities in favor of some old sage wisdom. 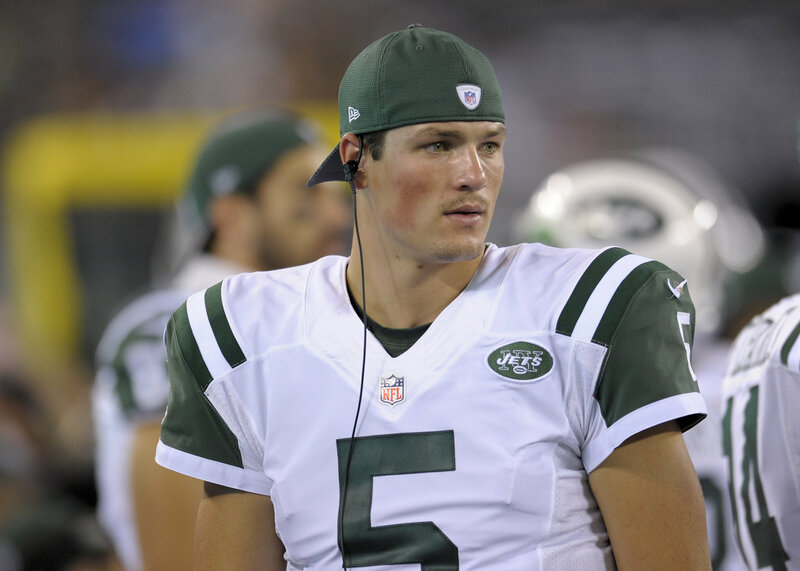 Their two young quarterbacks are Bryce Petty and Christian Hackenberg: one who is excellent at getting violently annihilated "Night At The Roxbury" style and one that just looks amazing holding a clipboard, why not have a guy like McCown direct a little traffic for what is most likely a stop-gap year? And I say "most likely" very lightly as if there is one team familiar with having successful seasons with journeyman quarterbacks, it's the Jets. Vinny was a youthful 36 years old when he signed with the green and white back in 1998 and Fitzpatrick was 33 back in 2015. Yes. I feel the veteran leadership just boiling over. But let's not stop there. Behold! Yes, that's right. Joshua Treadwell McCown pisses patriotic excellence and doesn't need Paul Revere on his helmet to indicate that. Plus when you look like Brian Fallon of The Gaslight Anthem, you automatically are Dom DeAngelo approved. Wildcard berth. I'm calling it.